high quality workmanship at affordable prices. 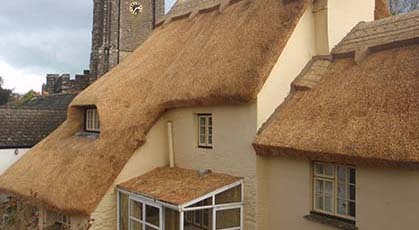 With over 30 years of experience in the thatching industry, Paul Cook uses the highest quality thatching materials including straw, combed wheat reed and water reed. 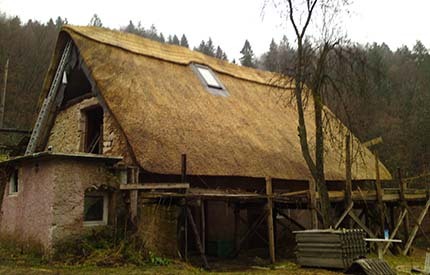 Offering thatch roof construction, ridge work, thatch replacement and commercial thatching. We also offer thatch cape tiles, recognised for their artistic beauty, using natural and environmentally friendly materials. Very versatile and flexible, cape reed thatch tiles are quick and easy to install, perfect for summer houses. Cooler in summer, warmer in the winter.